Flake Graphite Specification type6.5um Property:scale is thin,flexible and crystallized completely with excellent physical and chemical properties such as good temperature resistance, self-lubrication, conductibility,heat resistance, shake resistance,and erosion resistance. Use:widely applied to high quality fire resistance material and coating of metallurgy industry,hot working material stabilizer of military industry,lead of light industry,carbon brush of electrical industry, filler or improver for all types of composite materials such as EPS plastics. If you have any demand about my products. Our main products are Bronopol.DBNPA.HBCD.Carbohydrazide.4-(METHYLSULFONYL)BENZALDEHYDE.2,2-Bis[4-(2,3-dibromo-2-methylpropoxy)-3,5-dibrom.SodiumBromide.2-Cyanoacetamide.HBCD Masterbatch.DBNE .BDDP.Sodium bromate.BROMINE.DBNPA20%.Brominated Polystyrene.Aluminum Chloride.Polyaluminium Chloride PAC.2-Ethyl-anthraquinone.Tris(tribromophenyl) cyanurate FR-245.BDMAEE.Flake Graphite.DichloroglyoximeDCG.DBDPO /DECA.DBDPE /DECO.TBBA/TBBPABROMINATED SBS.RDT-5 ethylenebistetrabromophthalimide BT-93W.BIT.DCOIT. OIT. DCDMH. DBDMH.BCDMH.Sodium dichloroisocyanurate dihydrate.Trichloro Isocyanuric Acid.Cyanuric acid . CMIT/MIT-4.Glutaraldehyde 50% GIG50.Bromoacetic acid.etc. Specification: FC content :80%~99.99% Particle Size:0.5mm ~1um(+32,+50,+80,+100,-100~-5000mesh) Advantages: Perfect crystallization, thin flake ,good flexiblity,excellent chemical and physical propertities,superior conductivity, self-lubricity and resistance to temperature,corrosion and hot shock and so on. 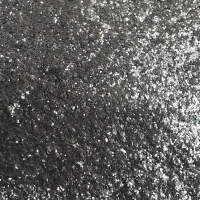 Application:Natural flake graphite is widely used as essential nonmetalic mineral in almost all industries .It can be used as high -quality refractory mineral or coatings in metallurgical industry,stabilizer in military industry,black lead in light industry and so on .After being deeply processed ,natural flake graphite can be used to produce Tv tube coatings,graphite sealing material and composite material. Brand No Fixed Carbon (%) Particle Size(%) Moisture (%) Screen Oversize Screen Undersize LG35-99 99 75 -- 0.5 LG50-99 LG80-99 LG(-)100-99 99 -- 70or80 0.5 LG(-)150-99 LG(-)200-99 LG(-)325-99 LG35-98 98 75 -- 0.5 LG50-98 LG80-98 LG(-)100-98 98 -- 70or 80 0.5 LG(-)200-98 LG(-)325-98 LG35-97 97 75 -- 0.5 LG50-97 LG80-97 LG(-)100-97 97 -- 70or 90 0.5 LG(-)200-97 LG(-)325-97 LG80-95 95 75 -- 0.5 LG(-)100-95 95 -- 70or 90 0.5 LG(-)200-95 LG(-)325-95 LG80-94 94 75 -- 0.5 LG(-)100-94 94 -- 70or90 0.5 LG(-)200-94 LG(-)325-94 Packed in compound water-proof bag,25kg/bag. Pure graphite is a mineral form of the element carbon (atomic number 6) and its symbol is c. It forms in veins in metamorphic rocks as the result of the metamorphism of organic material included in limestone deposits. It is an extremely soft mineral at 1 to 2 on mohs' hardness scale. It is black and has a black streak. 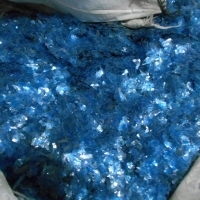 (streak is the color of a mineral when it is crushed to a powder). Its softness and streak make graphite useful in making f+leadf+ for pencils. Crystals are uncommon, but when they occur, they are found as rough, six-sided (hexagonal) flakes. It breaks into minute, flexible flakes that easily slide over one another. Mineralogists call this basal cleavage. This feature is the cause of graphite distinctive greasy feel. It is this greasy characteristic that makes graphite a good lubricant. Because it is a solid material, it is known as a dry lubricant. Graphite is the only non-metal element that is a good conductor of electricity. 25kg/bag;1 ton.Kraft bag.20ton/20fcl. Dalian Wanlong Trade Co., Ltd.
We can supply flake graphite all the year round. If you are interested in our goods, please send me your detailed spec. We will provide you high quality goods and reasonable price. Short on time? Let flake-graphite sellers contact you. Natural flake graphite Packaging & shipping of natural flake graphite : Packaging: 1.25mt jumbo bags or 1mt jumbo bags Delivery details: according to customers’ requirements Application of natural flake graphite : 1.Used as release agent lubricant in the production of chemical industrial catalyzer. 2.Used as high temperature resistance lubricant base material, erosion resistance lubricant base material. 3.Used as powder metallurgy release agent and metal alloy material. 4.Suitable for making graphite refractory bricks. As a leading chinese graphite producer and exporter, we are experienced in supplying high quality solid graphite materials & machined parts, graphite soft & rigid felts, flexible graphite, c/c composite materials, etc. To be the most reliable carbon group, we always do at competitive quality, reasonable price, good lead time, and considerate service. Hope to build up a cooperative relationship between us, from a perspective of long term, which will benefit both of us. 25kg bag / 1mt big bag. Natural graphite is used mostly in what are called refractory applications. Refractory applications are those that involve extremely high heat and therefore demand materials that will not melt or disintegrate under such extreme conditions. One example of this use is in the crucibles used in the steel industry. Such refractory applications account for the majority of the usage of graphite. It is also used to make brake linings, lubricants, and molds in foundries. A variety of other industrial uses account for the remaining graphite consumed each year. 25kg/bag;1 ton/ kraft bag;20 ton/20fcl or ad the customer request. Qingdao Haitong Graphite Co., Ltd.
Supply Graphite Powder / Natural Flake Graphite / Crystalline Flake Graphite / Natural Amorphous Graphite Fixed carbon content: 70%, 75%, 80%, 83%, 85%, 88%, 90%, 95%, 99%, and etc Fineness: 100mesh, 200mesh, 325mesh, 500mesh, and etc Graphite powder is widely applied to battery carbon rod, steel and iron, casting material, refractory material, fuel, paint, electrode paste and pencil, battery, graphite emulsion, preservative, graphite lubricant, smelting carburet ant, graphite bearing and other products. We can supply high quality graphite powder, crystalline flake graphite, natural amorphous graphite for our customers. 25kg small bag / 1MT big bag. Hunan Chenzhou Lutang Crystllitic Graphite And Carbon Co., Ltd.
Our company specialize in amorphous graphite powder, and the the products are divided into 9 grades: 70, 75, 78, 80, 83, 85, 88, 90, 95. The size specification includes 45, 75, 150um (equals 325, 200, 100mesh). We can also produce all kinds of different specification according to buyer's requirements. We have a whole set of assembly line including mining, dressing and processing. The reserved amorphous graphite is the richest in the world and 80% of them are qualified graphite with fixed carbon content 70%-90%. Our annual outputs of "Zhenlu" brand graphite are over 80,000tons, our graphites are divided into WT( limitation to iron) and W (nolimitation to iron). 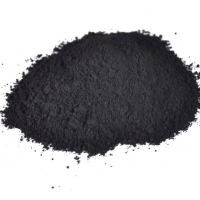 The products include graphite ball, grain, powder, piece etc. based on the percentage of fixed carbon, the products are divided into 9 grades: 70, 75, 78, 80, 83, 85, 88, 90, 95. the size specification includes 45, 75, 150um (equals 325, 200, 100mesh). We can also produce all kinds of different specification according to buyer's requirements. Crystallitic graphite(amorphous graphite) is widely used in making pencils, welding rods, graphite emulsions, desulphurizing agents, lubricants, carbon rode in the batter ycoating in casting, refractory, colourant, paint, electrode compund. The highcarbon amorphous graphite is also used in high technology and advanced science fields. Acidated flake expandable graphite, natural flake graphite,natural graphite powder, nano-powder graphite, high carbon grahite, high purity graphite,natrual and synthetic graphite granule, carburant and steel carbon, flexible graphite yarn, flexible graphite foils & sheet, graphite gaskets, graphite braided packing, flexible graphite ring and other series graphite by-products.